Ever since she started going out with Rogerson Biscoe, Caitlin seems to have fallen into a semiconscious dreamland where nothing is quite real. Rogerson is different from anyone Caitlin has ever known. He's magnetic. He's compelling. He's dangerous. Being with him makes Caitlin forget about everything else- her missing sister, her withdrawn mother, her lackluster life. But what happens when being with Rogerson becomes a larger problem than being without him? This week's Memory Lane Monday is Dreamland by Sarah Dessen. I wish I could say this was going to be a supportive Memory Lane, but if I did, I'd be lying. This book was not only frustrating beyond belief, but it was also majorly depressing! I feel like I myself am classified as a "teddy bear"among the reading community. I am extremely easy to please and I rarely hate a book......Dreamland made my teddy bear attitude go into full blown "Rage Teddy." The entire book focuses on a variety of teen issues- primarily drugs and abuse. Now, I would have been okay with these topics IF there was a great story that came from it. But was there? Ding ding, you guessed right....no. Excuse my abbreviated language, but this book gave me a lifetime supply of "WTF did I just read" moments! Don't even get me started on the main character, Caitlin. I'm not even exaggerating when I say that the only thing relatable about her character was the name we shared. * Frustrated sigh* I read books to make myself feel good- not depressed. And I think what really bugged me was that after all the suffering Caitlin went through, I didn't even feel like I learned anything from her situation. What was also really unmotivating was the "If Onlys" Caitlin started going through as she reflected on what she had been through. How is THAT, coming full circle? Last point (I promise). I feel like with a book like this, where the main character is being abused, we should get a deeper look into the male lead. Obviously Rogerson has some sort of issues that have lead to him abusing his girlfriend, but we never find out what those issues are. Without adding some background to Rogerson's character, it felt as if that this book was trying to put a stereotype on "bad boys." Well my lovelies, that is all I am going to say about this one. If you do decide to read Dreamland, please be aware that there is mature content that isn't suitable for the younglings. 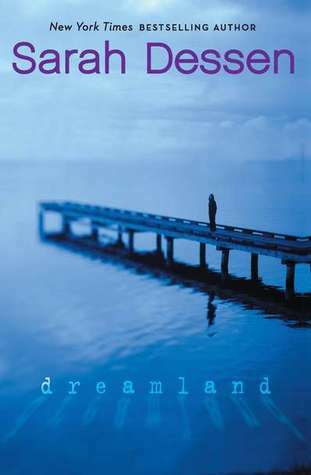 I also want to point out that Dreamland is probably the only book I dislike by Sarah Dessen- so although I personally don't recommend this book, all of her others are pretty good :) Have you read Dreamland? What did you think about the main character? Be sure to let me know in the comments! See you next Monday! and lol I just read your 'about'' page..you claim your a novice blogger but your blog is super cool and you have soo many followers! !